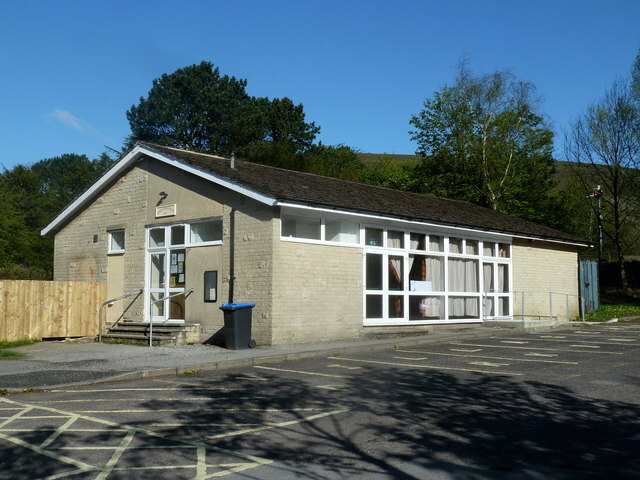 The hall is by the large car park at the foot of the lane to Grindsbrook Booth, the main village in the valley. A railway signal can be seen by the far right corner where the line passes. The parking charges seem very expensive.